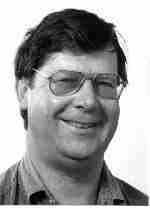 Dr. Clive F. Burrett of Hobart, Tasmania, was appointed to the board of directors in October 2005. Dr. Burrett was a founding member in 1995 of the Board of Directors of Great South Land Minerals Limited which is a wholly owned subsidiary of Empire. He currently serves as President of Great South Land Minerals Limited. Dr. Burrett received his Bachelor of Science with honors from the University of London in 1970, and a PhD from the University of Tasmania in 1978. He was a Professor of Geology in the School of Earth Sciences in the University of Tasmania. He previously served as Chairman of the Department of Geology from 1998 to 2002. He has published over 100 scientific papers and edited the standard volume on the ?Geology of Tasmania.? He has also supervised a graduate study focusing on the Paleozoic basin evolution in Tasmania and Laos. Dr. Burrett has consulted on applied aspects of basin evolution, petroleum, lead and zinc deposits to companies such as Shell, CRA, Oxania and BHP in Australia, Oman, Laos, China and Thailand.